North Korea to Close Nuclear Testing Site? North Korea’s official state media has announced that as of Saturday, all nuclear and long-range missile testing in the country are being suspended indefinitely. They also announced they will be closing their nuclear testing site. The decisions were made at a meeting of the nation’s Central Committee, and officials say it marks a broad shift in national focus, toward trying to improve North Korea’s economy. It is also a very helpful move for the peace process. 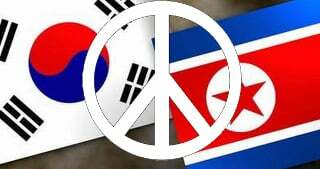 Earlier this week, South Korea confirmed talks are ongoing with both the US and North Korea on a deal that would end the Korean War. The Korean War began in 1950, and other than an armistice, is still ongoing. North Korea also told South Korea they are interested in reaching a peninsula-wide denuclearization deal. Nuclear testing had already been seen as effectively on hold, and the new announcement makes that official. This comes as the summit between South Korean President Moon Jae-in and North Korea’s Kim Jong-un approaches. Another summit, expected in late May or early June, is planned between Kim and President Trump. Major deals clearly look to be on the horizon. The US has openly talked about considering establishing an embassy in Pyongyang, something they’ve never had. North and South Korea also reestablished their bi-national hotline Friday, allowing direct communication between the two leaders. Punggye-ri is the only nuclear test site in North Korea. The last nuclear test at the site took place in 2017, and was seen as successful. North Korea is believed to have a small nuclear arsenal, but its exact size is subject to debate. North Korea has always said its nuclear program is meant to deter a US attack. Progress in diplomacy promises to eliminate this concern. North Korea is no longer demanding that the US commit to a military withdrawal from the peninsula as part of a denuclearization deal.